NBC 6 has the top six stories you need to know for your Tuesday. 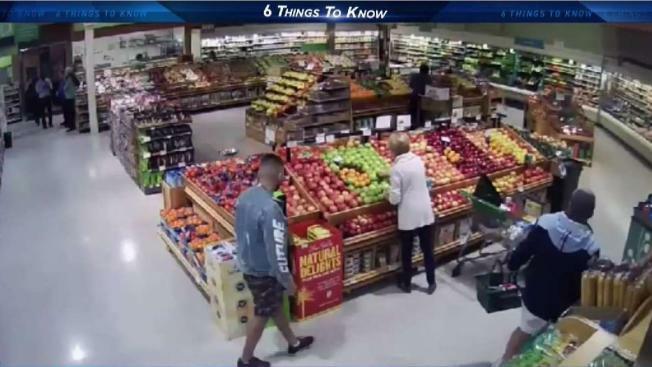 It’s Tuesday, January 29th – and NBC 6 has the top six stories you need to know to start your day. No. 1 – The colder weather continues across the area with some parts of South Florida waking up in the uppers 40s. High temps will be in the upper 60s for most of the area with a warming trend ahead in the next few days. No. 2 - An early morning fire inside a Coral Springs apartment sent residents outside in the cold and has investigators working to find out if a heater designed to fight the dropping temperatures was the cause of the blaze. Crews responded to the complex at 8011 Northwest 35th Court before 5 a.m. on Tuesday, battling the fire that started in a second floor apartment. No. 3 - A Florida man whose newlywed wife went missing at sea as the couple sailed off the Bahamas is facing a prison sentence after pleading guilty to a federal involuntary manslaughter charge. A sentencing hearing is set Tuesday in Miami federal court for 41-year-old Lewis Bennett, who faces a maximum eight-year prison sentence in the May 2017 disappearance of Isabella Hellmann, his wife of three months. No. 4 - After a publicity-filled weekend spent asserting his innocence and slamming investigators, Donald Trump confidant Roger Stone will appear before a federal judge who may look to muzzle him as the case moves forward. No. 5 – A FaceTime bug lets you hear through someone else's iPhone, even if they haven't answered your phone call. This bug seems to rely on the FaceTime Group Call feature, since you're trying to add another person to the call. Apple said a fix is coming this week. No. 6 - Groups in South Florida are doing their part to help after a strong tornado tore through Cuba, killing at least three people and hurting 172. Severe weather, including pounding rain and winds that toppled over trees, power poles and tore roofing through the air, began Sunday night and continued through early Monday. For a complete list of how you can help, click on this link.